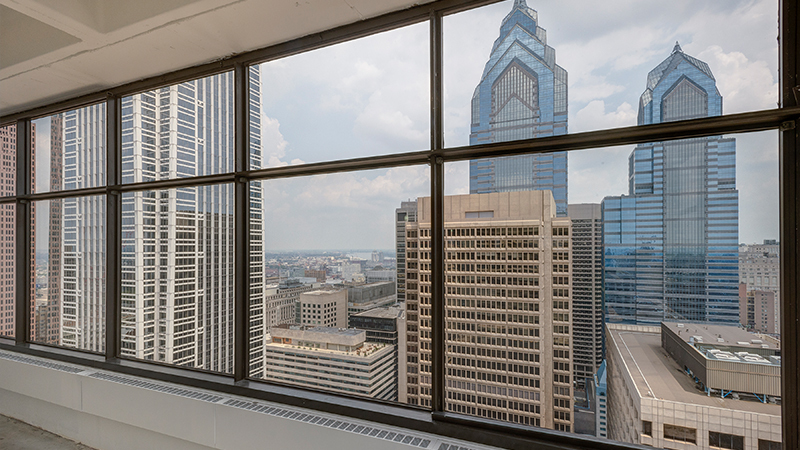 1818 Market Street is located in Philadelphia’s Market Street West submarket – a popular destination for office tenants, young professionals, residential developers, and retailers. 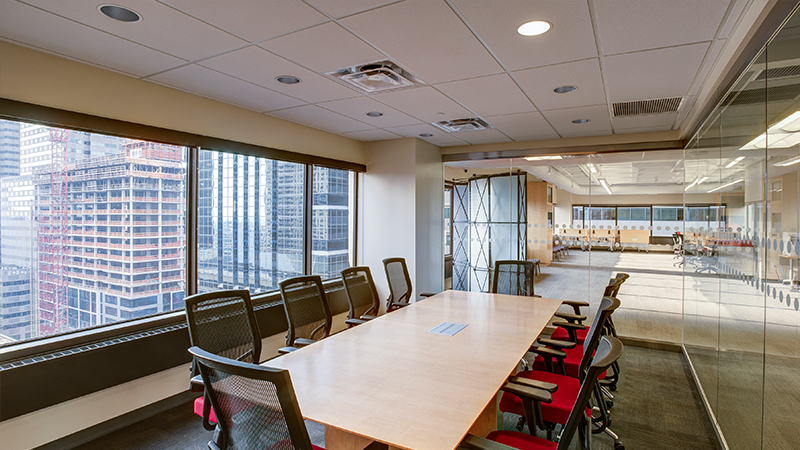 The property’s prime location, efficient floor plates, high ceiling heights, impressive window lines, and above-standard parking, make it one of the few buildings in downtown that has the flexibility to attract traditional tenants, while also offering the ability to create open plan, collaborative work space. The property offers ground-floor retail, including the popular, Marathon Grill, that offers outdoor seating in its plaza. It is also central to public transit rail, Amtrak, PATCO and bus lines, and just a short walk from renowned restaurants, high fashion boutiques, salons/spa, five diamond/national historic landmark hotels, Rittenhouse Square, and premier cultural venues including the Kimmel Center. We have budgeted a $21.5 million capital improvement plan for the property that is currently underway. 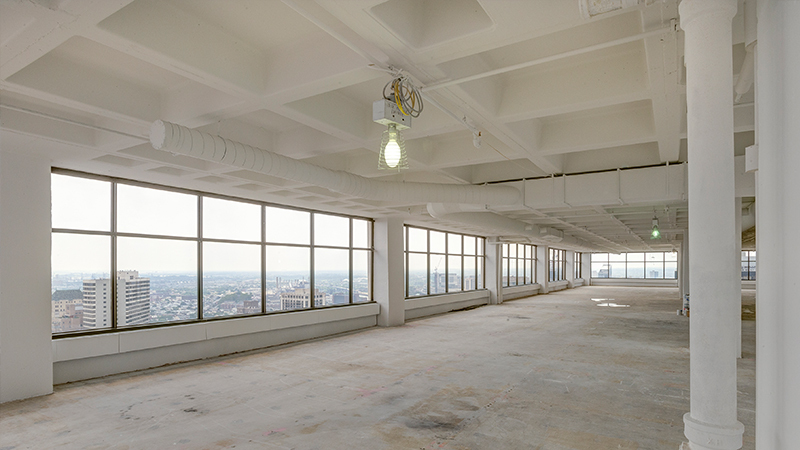 The initial phase results in a large portion of the 30th floor being returned to a state not seen since original construction, with exposed concrete decking and the removal of interior walls to open up more of the space for use as a traditional office or an open-plan collaborative environment. 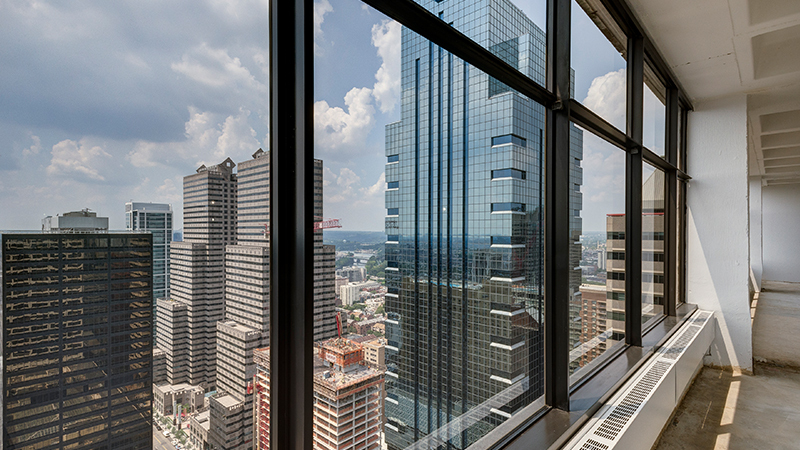 We have doubled the window line for the space to create more natural light and increase the floor’s city views. 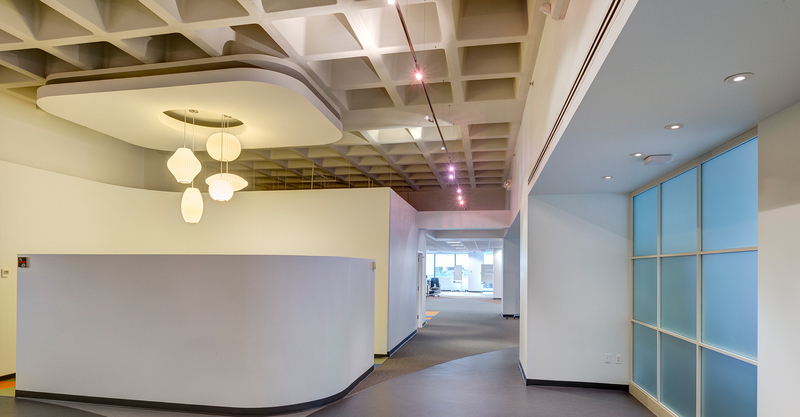 Additional work addresses a restoration of the building’s façade, modernizing the elevator system, renovation of lobby and elevator cab interiors, renovating common areas and bathrooms, and adding a tenant amenity package that currently includes a bike room and fitness center. A locally owned and operated restaurant committed to serving fresh American classics and sourcing the best seasonal products available. Marathon also provides catering for meetings and private events. Offering drip coffee, espresso-based beverages, teas, smoothies, bottled drinks, breakfast & lunch sandwiches and pastries. Exclusive to the tenants of 1818 Market Street, the 1818 Fitness Center features matrix cardio and strength-training equipment, both live and virtual group exercise classes, fully equipped locker rooms with showers and towels, along with ambient sound and cable TVs. Full-service banking with an ATM. A grooming station for men offering metropolitan gentlemen services found at traditional barber shops including haircuts, hot-towel shaves and beard maintenance, with the ancillary sale of related hair and skin products and related concierge services. Hours: Monday – Friday 9am. - 7 pm. A full-service preventative and cosmetic dental care practice open M-Th 8am-6pm and Fri 8am-2pm. We have 408-stall, self-park garage with direct elevator access to the Main Lobby. Monthly and guest parking is available. Secured bike room with racks is available to tenants. The building has 24-hour security 365 days a year. Security is provided by a combination of electronic monitoring and security staff. An authorized card key access is needed in order to gain access to tenant floors. 1818 Market Street is located a half block west of Suburban Station, providing commuters access to SEPTA’s regional rail and subway system. The Conference Center consist of two meeting rooms; a Training Room that seats up to 36 and a Conference Room that seats up to 10. Each room is equipped with polycom conferencing, HDMI capability to large screens and cable/tv access.